LONDON: 4 JULY 2016 - The directors of ECR Minerals plc (the “Directors”) announce that firm commitments have been received in respect of a placing (the “Placing”) of 3,500,000,000 new ordinary shares of the Company of 0.001 pence (the “Placing Shares”) at a price of 0.01 pence per share raising gross proceeds of £350,000. Smaller Company Capital Ltd, an appointed representative of Vicarage Capital Ltd, acted for ECR in the Placing, which is conditional upon receipt of funds and admission of the Placing Shares to trading on AIM. A Placing commitment of £60,000 has been received from PrimaryBid, the crowdfunding platform for AIM listed companies. The Directors intend that the expected net proceeds of the Placing (approximately £323,750) will be used to repay all amounts owed by the Company under the convertible loan facility (the “Facility”) in place with YA II PN Ltd (formerly known as YA Global Master SPV Ltd), an investment fund managed by Yorkville Advisors Global LP. Any funds remaining following the repayment will be utilised by the Company as working capital. While recognising the value to the Company of the financial support provided by the Facility to date, the Directors do not intend to make further use of the Facility, or to make use of similar facilities in the foreseeable future. 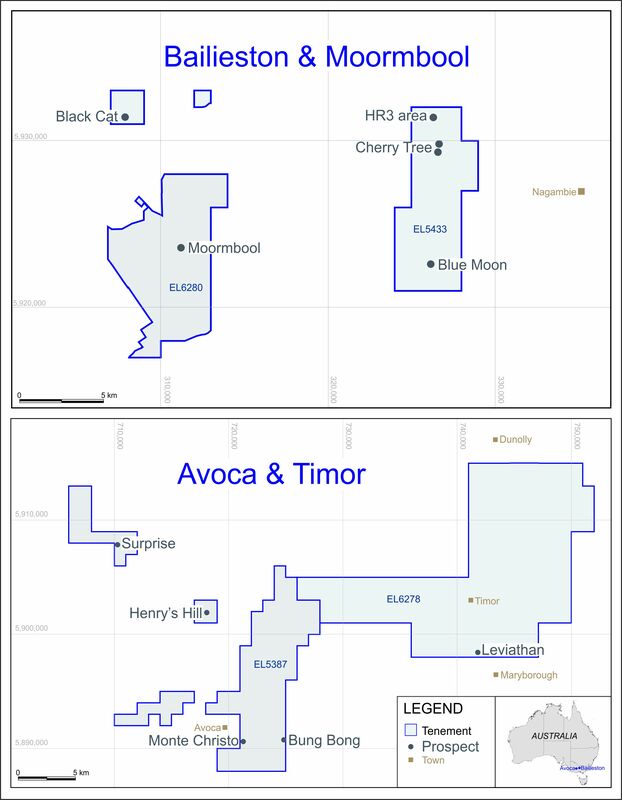 ECR is pressing ahead with its assessment of the Avoca gold project in Victoria, Australia, where the potential to generate relatively short-term cash flow from the reprocessing of historical waste dumps to extract remnant gold is being evaluated. For further information, please see the Company’s announcements dated 13 June 2016 and 30 June 2016. Pursuant to the Placing it is expected that an application will be made for admission of the Placing Shares to trading on AIM (“Admission”). Settlement and Admission are expected to occur on or around 18 July 2016. Following Admission, it is expected that the Company will have a total of 11,988,066,586 ordinary shares in issue. The Placing Shares will rank pari passu in all respects with the ordinary shares of ECR currently traded on AIM.